Many weekend mornings in my kitchen go like this: "What should we make? Pancakes? Waffles?" my husband will ask. "David Eyre!" I respond. So who is David Eyre and why do I want him for breakfast? 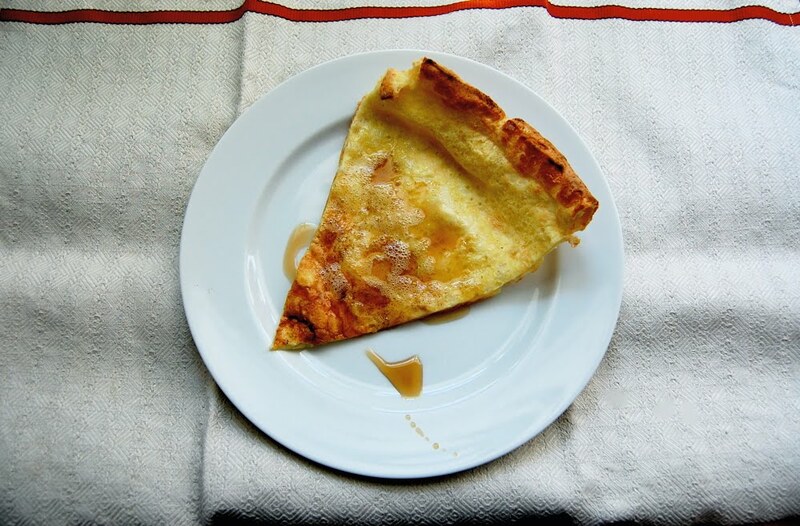 David Eyre is the name of my favorite pancake, one I've written about before, when a Google search corrected my long-held belief that this was a family recipe. The Dutch baby pancake got attached to one David Eyre when he served it to New York Times food writer Craig Claiborne, who published the recipe in 1966 with the title "David Eyre's Pancake." 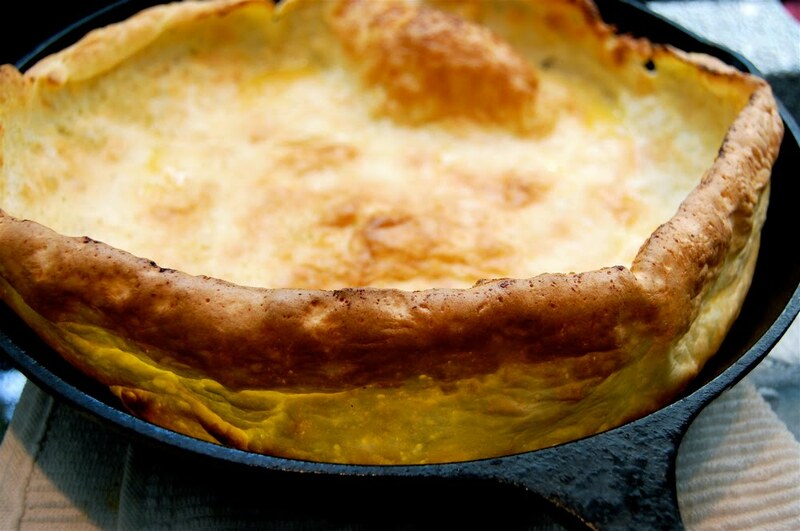 As a kid, I'd fight for those beautiful buttery edges (above) when my grandmother or parents made a David Eyre pancake for breakfast. I loved its odd look with awkwardly puffed edges and a depressed interior. And its eggy dimples sprinkled with cinnamon and sugar and a squeeze of lemon were delicious. Some 40 years since it was published in the Times, immortalizing David Eyre in pancake form, it's still a regular weekend dish in my kitchen. Put the butter in a 10- or 12-inch cast iron skillet (or other oven-safe pan) and put pan into the heated oven. When the butter is sizzling hot, pour the batter into the pan. Bake for 15-20 minutes until the edges are golden brown and nicely puffed. Remove from oven, add a squeeze of lemon juice and sprinkle with cinnamon sugar. Cut and serve with syrup (my favorite) or jam. * The recipe is easy to double — just use a 9x13 inch baking dish instead of the smaller pan. It looks like a popover cooked in a skillet, and popovers are awesome. Need to give this a try. what type of milk do you use? Whole? skim? This looks delicious and I don't want to mess it up to badly. Olesh - It's very similar to popover batter ... 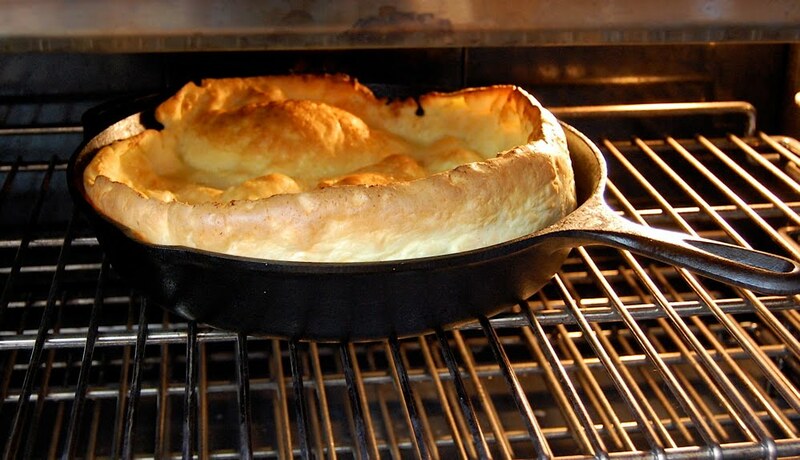 I've always wanted to make the BLT Steak popover recipe but I think you need a giant popover pan. Nicole - Whole milk is best but I've used 2% before and it was fine. I wouldn't use skim. The Original Pancake House serves a dutch baby that's quite good (as is their truly evil apple pancake). They serve it sprinkled with powdered sugar and wedges of lemon to spritz it with. Really delicious. 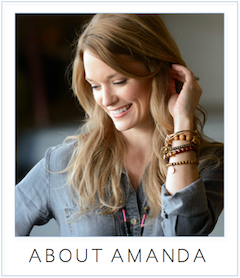 I am *so* excited that other people know about it as well! Yay! My mom used to make these for us when we were kids in the '70s when the Space program was big. We called them "Crater Pancakes". Can't remember if she served us Tang with them. This is similar to what we called the Seattle Dutch Baby which didn't have nutmeg but is made the same way. I'll probably make this for breakfast tomorrow! Just made one. It was awesome! Had some strawberry rhubarb compote with it. Thanks so much for the recipe and idea. Anon- Love "crater" pancakes. That is too cute. Lins- Did you live in Seattle? Wonder how that city got attached to the name? yup- So glad to hear it! Lemon curd sounds fabulous on it. I must try it next time.